A few years ago Boston Consulting Group published a report that found five types of luxury consumers. The report looked at the spending habits of these five types in six luxury markets – the U.S., Brazil, China, Japan, Russia and Europe. What they found was interesting. The Aspirationals: Aspirationals have $85,000 or more in annual income in developed markets or $29,000 in emerging markets and account for four out of every five luxury purchases. They aren’t big spenders individually, but together they account for a third of all luxury spending, says BCG. Rising Middle Class: This group has incomes of $170,000 or more in the U.S. and $55,000 in emerging markets – which makes them far more affluent than the real “middle class.” They account for 25% of luxury spending. New Money Households: New Money has investable assets of $1 million or more, and they spend about $90 billion a year on traditional luxury, or about a third of the market. New Money tends to like fashion and clothes. Old Money Households: The Old Money group inherited its money and is far more frugal, accounting for only 7% of luxury sales, says BCG. There are one million of these households in the markets studied. Beyond-Money Households: This group is self-made but unlike New Money it eschews status and tasteless spending. There are about a half million of these households. When they do spend, they spend on watches, jewelry, furniture and decorations. “If luxury spending was indeed driven by the rich, the luxury industry would be a niche sector serving a fortunate few, rather than a dynamic, global business selling to a consumer market measured in millions. Just because you buy luxury doesn’t mean you’re rich. Out of the five types of luxury consumers, one has always fascinated me. Old Money accounts for only 7% of luxury sales yet has held on to their wealth for decades, sometimes centuries. If Old Money is not spending their fortunes on luxury goods, then what do they buy? “When one inquires of family members and representatives as to what it takes to preserve wealth over centuries and not just cycles, the frequent reply is “a third, a third, and a third.” This is shorthand for dividing one’s wealth into one-third land, one-third gold, and one-third fine art. Okay, that’s how Old Money preserves their wealth but what about luxuries of life? The difference between Old vs. New Money when it comes to buying luxury is what luxury means. Old Money’s idea of luxury fits into four categories. These are things money can and cannot buy but are some of life’s most sought after luxuries by the truly wealthy. When your family has passed down riches for decades, there’s no credit card debt. Monthly bills can be covered by investments, however, most Old Money enjoy still working. The only financial worries are how you’re going to grow and preserve the family nest egg. When you have the means to help others in need, there’s no better feeling. Old Money gives to charity and those in need because they recognize their position and the benefits they gain from giving back. There’s a reason most Old Money houses are hidden from the road by a line of hedges or a brick wall. Old Money prefers privacy over curb appeal. 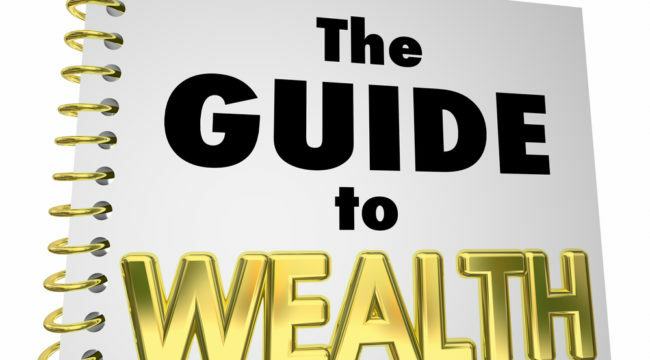 Keeping your wealth private avoids a lot of unwanted attention and resentment. Designing your life for maximum meaning and enjoyment is not hard. This happens when you’re living true to your core values. Old Money spends time thinking about what they truly believe in and then prioritize those values in daily actions and habits. This kind of luxury is what moves the needle in your quality of life, and it’s irrespective of income level, net worth or status. Next time you’re shopping for a new luxury gadget, think about what money can truly buy.